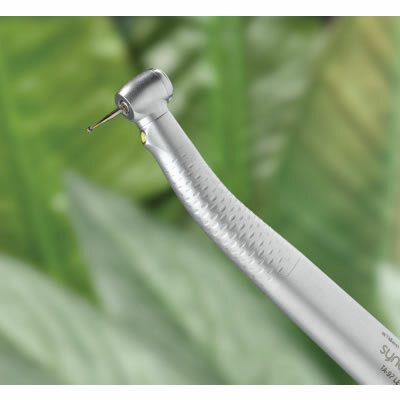 The Synea series of handpieces allows the clinician to choose the right lighting option, type of connection, and head size that will make their procedures easier. In addition, this next-generation turbine offers LED technology. I completely remodeled my office about 7 years ago and the handpieces I chose were the Adec synea air driven and also the Adec electric high speed and slow speed. They are driven by Adec units and everything should be compatible. The air driven handpieces are no longer in use because the cost to repair one of these handpieces is $500.00 . They can not be repaired by conventional methods, they must be sent back to Adec which means you must deal with Patterson since they are the only dealer that deals with Adec. I have had a couple repaired in the past and they do not last and I am tired of the 500 dollar cost to have them repaired. They are taken care of , we use the asitina to clean and oil before sterilizing and they are done in a statim so everything should be above par. I have had them repaired by Schein Pro repair and one other company and the turbines only lasted for a couple patients. The electrics have been a pleasant surprise. I will review them under their respective area.